The greatest of the heroic epics to emerge from medieval Germany, the Nibelungenlied is a revenge saga of sweeping dimensions. It tells of the dragon-slayer Sivrit, and the mysterious kingdom of the Nibelungs with its priceless treasure-hoard guarded by dwarves and giants, of Prunhilt the Amazonian queen, fortune-telling water-sprites and a cloak of invisibility. Driven by the conflict between Kriemhilt, the innocent maiden turned she-devil, and her antagonist, the stoic, indomitable Hagen, the story is one of human tragedy, of love, jealousy, murder, and revenge, ending in slaughter on a horrific scale. 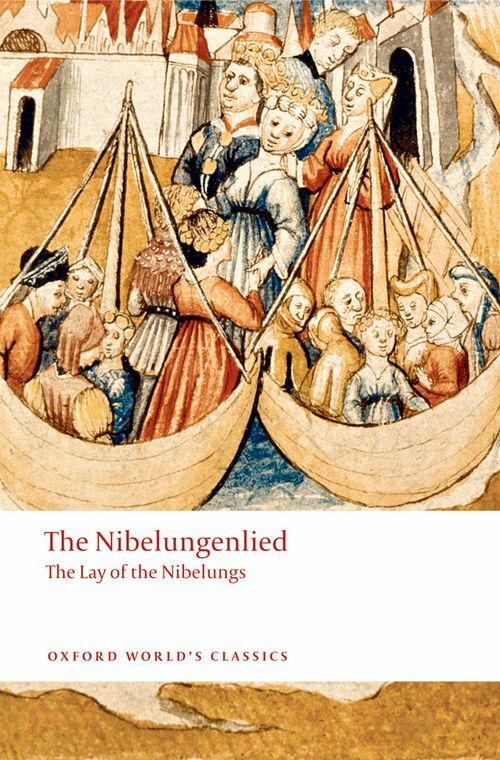 The work of an anonymous poet of c.1200, since its rediscovery in the eighteenth century the Nibelungenlied has come to be regarded as the national epic of the Germans. It has inspired countless reworkings and adaptations, including two masterpieces: Fritz Lang's two-part film, and Richard Wagner's Ring cycle. This is the first prose translation for over forty years: accurate and compelling, it is accompanied by a wealth of useful background information. Cyril Edwards is a Lecturer in German at St Peter's College, Oxforrd, a Senior Research Fellow of Oxford's Faculty of Medieval and Modern Languages, and an Honorary Research Fellow of University College London. He has published widely on the medieval lyric, Old High German, and the supernatural in medieval literature. His translations include Parzival and Titurel for Oxford World's Classics and Hartmann von Aue's Iwein or the Knight with the Lion.